Flower Ornament Depository 華嚴藏: Where was Anxi 安息? In Chinese dynastic histories, the earliest reference to Persia is Anxi-guo 安息國 (the ‘Country of Anxi’). 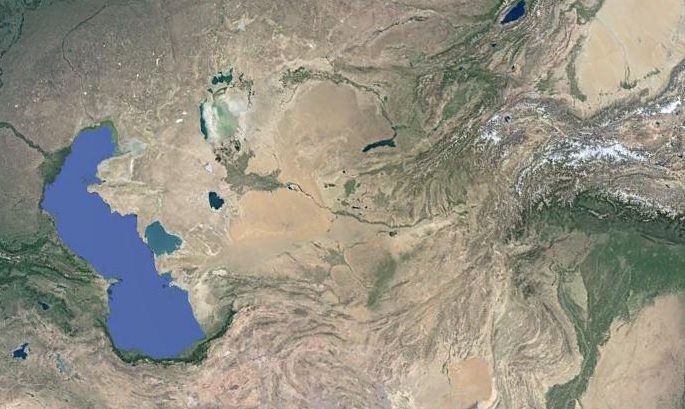 The word in Chinese is a transliteration of the Persian Aškānīān, i.e., the Parthian dynasty, which existed from 250 BCE to about 226 CE when it fell and was replaced by the Sassanian dynasty. The Middle-Chinese pronunciation of the term is reconstructed as Ɂân sjək (Schuessler IPA). … Such as those born in various frontier lands such as Anxi. They all are of human forms, yet ignorant and unable to be taught and transformed. In this Indian context (assuming it was written in India), Anxi clearly refers to a land outside the “Middle Country” 中國 (i.e., India) and most likely refers to the general geographical region of what we call Iran. It is curious though that the term Anxi was still used at this point in Chinese despite the Parthians having been replaced by the Sassanians. In Chinese literature, the term that most certainly refers to Sassanian Iran is Bosi 波斯 (Middle-Chinese: puâ sie), i.e., Fars. In English, the word ‘Persia’ (Greek: Persis) is also derived from the old name for Persia: Parsa (see http://www.etymonline.com/). We knows this because in the Zhou shu 周書 (fasc. 50), a history of the Northern Zhou dynasty compiled in 636, Anxi is said to border Persia 波斯 and is also included under a separate heading from the latter. In the year 567 (天和二年), Anxi is recorded as having sent tribute to the Chinese court. So, if Anxi was not Sassanian Iran, who were they in the mid-sixth century? Saitō (1998) convincingly argues that from around the mid-sixth century, Anxi refers to Bukhara in Central Asia. Later (2007) he pointed out that from the 1st to 3rd century, the surname An 安 was used by people in China originally from the Parthian empire, but later it appears that Sogdians from Bukhara began using this surname. He suggests that the Chinese identification of Bukhara with Anxi was a result of said Sogdians using the surname An. Saitō's thesis is supported by the account of Anguo 安國 in the Sui shu 隋書 (fasc. 83), the history of the Sui dynasty (581–617), in which An-guo is also identified under a separate heading from Bosi 波斯 (Persia). An-guo was Anxi-guo in Han times. The king’s surname is Zhaowu ('Brilliant Martial Virtue'?). He has the same clan as the king of Kang-guo [Samarkand]. His courtesy name is *She-li-deng [MC: śjät ljək təŋ]. His wife is a princess of Kang-guo. The capital is south of the *Nami River. The city walls have five layers and are surrounded by flowing water. Here *Nami 那密 is no doubt a transliteration of Nūmijkat, another name for Bukhara in Sogdian. The first reference to Bukhara using this term specifically in Chinese is as Niumi 忸密國 in the Wei shu 魏書 (fasc. 102), compiled in 559, the Middle-Chinese pronunciation being ṇjuk mjet (Schuessler IPA), which corresponds to Nūmijkat. The river mentioned here is the Zeravshan River as it is presently known. This Chinese identification of Anxi with Bukhara from the mid-sixth century is important to Buddhism because many monks with the surname An 安 or having come from Anxi were active in China. Again, if they were not Persian, who were they? One of the most critical misunderstandings in this respect has been the longstanding mistake that the ancestors of Jizang 吉藏 (549–623), a prolific author on Chinese Madhyamaka and patriarch of the Sanlun lineage 三論宗, were Persian given that his biographical details identify them as having come from Anxi. In reality, the evidence shows that his ancestors were likely Sogdians from Bukhara. It becomes easy to conclude that there must have been some significant Buddhist presence in late Sassanian Iran if Anxi is understood as Persia, but in reality this is mistaken. From the sixth century onward, the Persians who did settle in China tended to be Zoroastrians, Nestorian Christians and Manichaeans, and not Buddhists. *All Encyclopaedia Iranica content is available online at http://www.iranicaonline.org/. For details on the Parthians see “Arsacids” in Encyclopaedia Iranica (vol. II/5, 525–546). For details on pre-Islamic Bukhara see Encyclopaedia Iranica (vol. IV/5, 511–513). Saitō Tatsuya 斉藤達也. “Ansokukoku Ankoku to Sogudojin” 安息国・安国とソグド人. Kokusai Bukkyōgaku Daigakuin Daigaku kenkyū kiyō 国際仏教学大学院大学研究紀要 11 (2007): 1–32. Saitō Tatsuya 斉藤達也. “Gishin nanboku chōdai no Ansokukoku to Ansokukei no Bukkyō sō” 魏晋南北朝時代の安息国と安息系仏教僧. Kokusai Bukkyōgaku Daigakuin Daigaku kenkyū kiyō 国際仏教学大学院大学研究紀要 1 (1998): 152–176.